A reader from Norway: May I ask a couple of more questions please? What would you do differently if you had the opportunity to go back in time when you first audited Columbia Business School classes, how would you approach the learning material differently? How would you accelerate the learning process and absorb the material? I stumbled upon Joel Greenblatt’s book, You Can Be a Stock Market Genius, and became hooked. My author search led me to Columbia’s GBS where he was teaching a class. I hopped on the train to 125th street in NYC and sat in on his classes. He graciously allowed in 1999 for auditors to sit in like Ben Graham allowed back in the 1940s and 50s. In fact, there were more non-students than graduate students in Graham’s classes. I already had worked on Wall Street—useless for understanding how businesses worked or how to value them—but I had started companies so my background was applicable. I would approach the material in the same way like learning how to fly a plane or develop any skill. You learn the theory, you practice in controlled situations (case studies) then you apply what you have learned in the market and then reflect on what you did right or wrong. 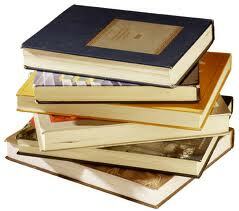 Read voraciously from many sources. What was you biggest learning/insight/eureka moment from Greenblatt and Greenwald? There are no secrets. You need to be comfortable with uncertainty and limited knowledge. You have to work hard to find and value businesses. Not all businesses are able to be valued by you, so walk away; be selective. Investing is doing, so apply your knowledge to the opportunities in front of you (or wait for tomorrow for better ones to tumble at your feet). Investing is a solo activity. The key moment was realizing no guru can show you the way; you will have to think for yourself and apply the principles to the world around you. I don’t visit investment conferences anymore because I don’t want to hear other people’s ideas; I prefer to spend time uncovering my own. Time is precious, thus choices have to be made. You can’t watch other investors, mimic them or just copy; you have to be unique in your own way in seeking bargains. You have to be your own analyst. Yes, you should listen to others like: https://www.lmcm.com/OwnWords.asp?f=Sam_Peters_LMCMs_Philosophy_Process.wmv&d=869180 but time is better spent reading your own pile of 10-Ks. In relation to your CBS class mates, what surprised you the most? What did they do wrong, did most of them maximize their learning opportunity? I saw several playing video games. They didn’t care who Joel Greenblatt was or what he was teaching. They were there to fill a requirement to get an MBA and a high paying job. I believe there course load is quite heavy so they might not have had the time to go more in depth into investing ideas and concepts. Again, if you want to be focused on investing, business school is not the place. You learn how to become a manager and you leave with a network. But I do not judge them. Many should not waste their time and talent on just investing. Many are not suitable to the lonely journey of investing. How did you manage to transcribe every word from the Greenblatt lectures? (the transcribed documents from Greenblatt > Greenblatt videos). I taped the lectures then sent the clips to India to be transcribed. I sat in on classes for five years (1999 to 2003). If you are diligent, you could have taken Greenblatt’s book, Stock Market Genius and recreate from SEC filings of all his past investments just as if you were in his classes. Joel reminds me of Columbo, the TV detective (https://www.lmcm.com/OwnWords.asp?f=Sam_Peters_LMCMs_Philosophy_Process.wmv&d=869180). Joel makes investing seem so simple, but there is a lot of experience, knowledge and skill behind his actions. A reader from Uruguay asks, “How can I use the magic formula?” How do you calculate ROIC? Go to www.magicformulainvesting.com and go to www.greenbackd.com to learn more. I just finished Competition Demystified by Bruce Greenwald and it was an excellent book. This book has really opened my eyes and I can honestly say I have never approached investing from that point of view. I just need to try to apply it consistently. When you evaluate and investment and determine its a franchise, do you go through the steps he lays out in Chapter 2? I try to understand the qualitative sources of competitive advantage so I can learn the company/industry. For example, I saw amazing share stability with title insurance companies stretching back 100 years, but cyclical and sometimes low profitability—why? Most of the value accrues to the sales agent in a title insurance transaction, but due to regulation and databases, there are only three or four national title insurers. The process helps you break apart the sources of profitability for companies. The more you can understand, the better you will be able to normalize earnings or determine sustainability of growth. Do not forget to read: www.marketfolly.com for interesting presentations. www.greenbackd.com as several recent articles on the Magic Formula.